Growing up back home, nearly everyone had a vegetable garden. It wasn’t always large enough to get enough, and some people had no luck growing certain things (I remember we could not get carrots to grow (not that that bothered me a whole lot! )), but nearly everyone tried to grow some potatoes at least to supplement the store bought. But of course growing them meant having somewhere to keep them, and vegetables need to be kept cool. We had a pound made in the back of the basement, nice and cool and dark, and while the potatoes would get some sprouts, they generally kept all winter and were still good in spring. Some people also kept things in cool sheds, or as they were more commonly known stores. 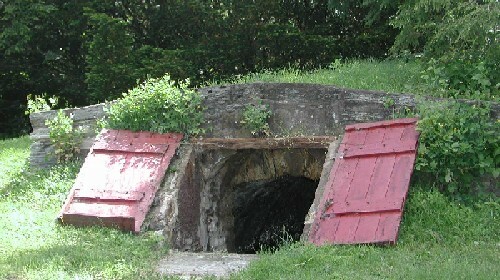 But others had the more traditional method of storing them, and a common site to see growing back home was a door in the side of a hill, whether natural or artificial. People would dig out the hills, and wall them up inside, or make a walled shell and cover it with dirt that then became a hill, but whichever method you used, what you got was a root cellar. I guess the name came from the fact that they were used to store root vegetables, but who really knows! All I know was as a kid, they seemed kinda spooky, dark, earthy, almost like something you’d read in a book about Merlin and Arthur, and I was fascinated by them! 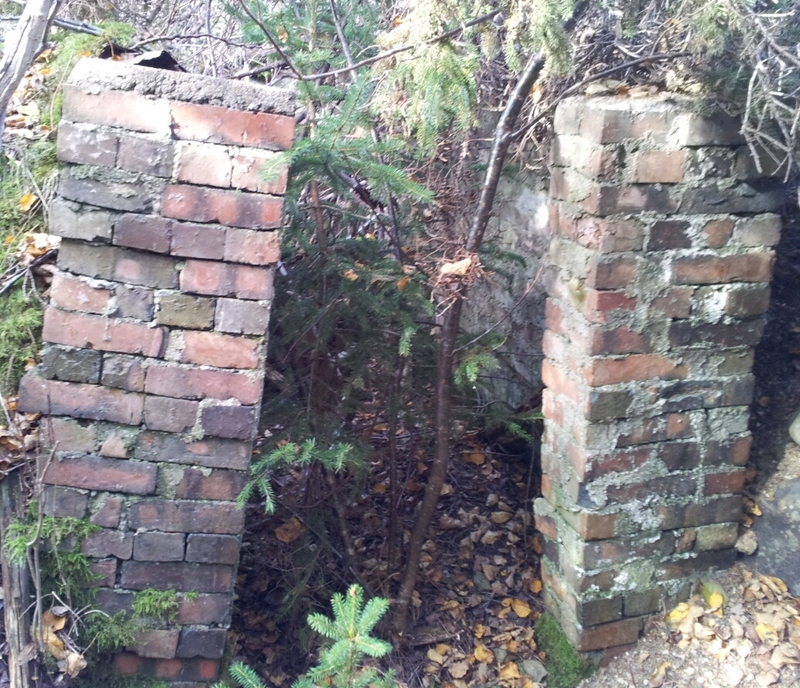 The picture on the left is the remains of the old cellar Uncle Hay had out on the garden. Time and Hurricane Igor has taken its toll it seems. They aren’t as prevalent as they once were, but still lots have them, and I even remember an article I read recently about Elliston being the root cellar capital! I always enjoy these. Keep them coming!